Data privacy and security on digital devices is the biggest concern that users face nowadays. Microsoft has promised to keep user data privacy and security one of its prime objectives, and for that the company has provided a feature in Windows 10 using which they will be able to delete data using the privacy dashboard on Windows 10 desktop PC, laptop and tablet that Microsoft collects. There is a new feature in the Microsoft account that allows users a convenient way to manage and delete activity data on Windows 10 devices and Microsoft services to protect it from being collected by the company. As most Windows 10 users would be aware that Microsoft collects activity data as a part of its policy to use that data for improving user experience in future updates. But if you hate you personal or work data from being collected by Microsoft, you can use the privacy dashboard feature in Microsoft account to delete data on Windows 10. Microsoft collects data about where you click on Windows OS, what activities you perform when online on a Windows device, and what apps and software you mostly use on Windows as a part of directing targeted ads on your device and to use that information for bringing new features to enhance user experience. 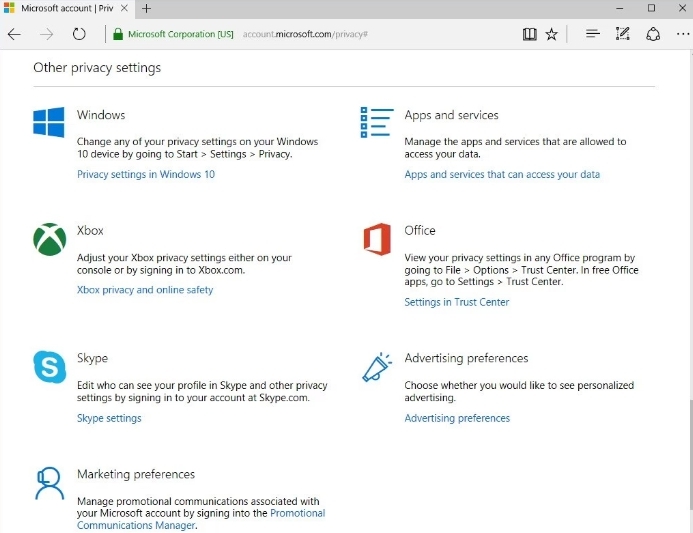 In Windows 10, there are several privacy setting options, but it doesn’t provide a clear information as to what sort of information is being collected by Microsoft and how it will be used by the company to provide a better user experience. To help get a complete control over their data privacy and protection on Windows 10 devices, Microsoft now offers a new privacy dashboard feature which can accessed from Microsoft account. This online page helps users to view activity data and clear it so that Microsoft can’t collect data from Windows 10, apps, and software. Everything you login to a Microsoft account in Windows 10 and enable browsing history option in Cortana, browsing data is sent to Microsoft. This data is then used by services to send personalize suggestions to improve your experience. In order to clear data, login to your Microsoft account in any web browser, click the View and clear browsing history button following by clicking on the Clear browsing history button. When you use Bing search engine, it saves your search history and uses it to offer suggestions and search result based on your search history. Your search history data allows Bing to offer relevant results quickly. It also sends personalized suggestions to users. Here’s how to view and clear Search data, login on Microsoft account in web browser, click View and clear search history button and then click the Clear search history button. Location services are used for finding directions and in apps that require location data. Microsoft collects location data to push relevant information based on your current information in the form of ads, search results, suggestions, and more. To remove location data so that Microsoft can’t access it, click on View and clear location activity button and then click on the Clear location activity option. Cortana uses search history and your past queries for offering search results based on your preferences. Cortana also uses its Notebook to save your activities to complete tasks on your behalf. But if you don’t want your activities being recorded by Cortana, you can click on the Edit Cortana data button in your Microsoft account on a web browser. You will then be presented with a data list of your individual activities, click on the Clear Cortana data to delete Cortana search assistant history. In addition to the above mentioned options, the privacy dashboard also allows you to view and delete health and fitness related data from Windows 10. For that, go to Edit data on Microsoft Health and click on Manage you HealthVault account online button. Moreover, there are options that enable users to adjust privacy settings of other Microsoft services such as Skype, Xbox, Office suite, Apps and services, Advertisement preferences, Windows, and Marketing preferences. You can choose to enable and disable the option to allow Microsoft to collect apps data for customizing experience on its websites, apps, and services via ads. 5 Best Microsoft Office Alternative Apps For Windows 10. How to fix Rise Of Nations Screen Flickering issue on Windows 10.